Well, the download slots are for the first part mitlerweile no longer as overcrowded. The second and especially the third one but still get no guarantee a slot. Most will therefore wait until the rush has also placed something (I have also begun today to load). files on the upload may not carry WoP exclusively on the World Of Players-forum will be used. Oh, I got something like they had not yet installed. Thanks for the tip. I can well see the only reason (also from this link out) because I'm not registered. In short, I'm floating grasses. The grasses are on a different level than the bottom, even if they occasionally have a fraction of a second on the floor and then go to their rightful place back. I have the demo now but even so played out, even if the sky was covered by grasses and sometimes cut a lawn in the middle of a house. So with such problems, I was small at first to identify the hardware and the settings to ask. I personally had no problems even with the demo. 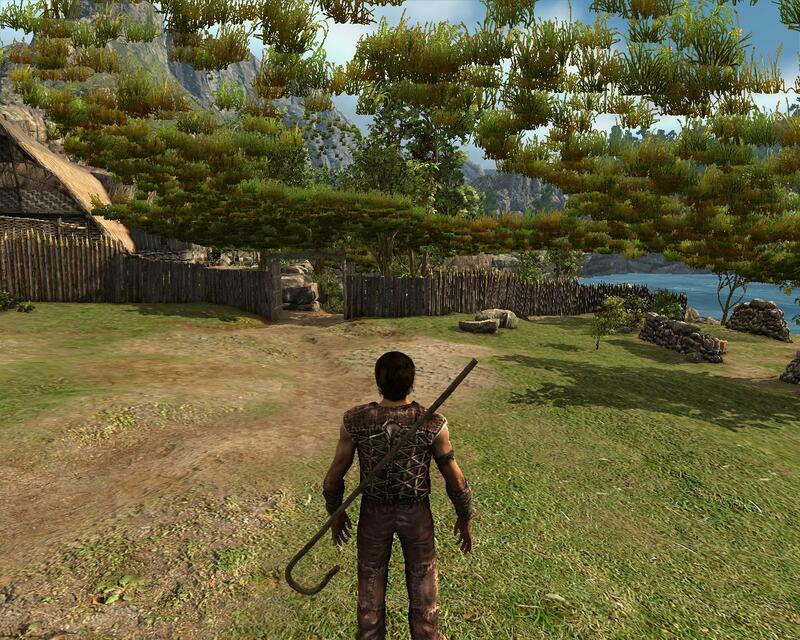 But if you look Gothic 4 + grass looks in Google, then you can see that it could well be the Alpha-grass is. So I could imagine ever problems. Oh, could it be because. Arcania did want to install a PhysX, only for the installation was as always an error message. Too bad, I hope that is in the full version else. It was almost exactly what I had expected. Graphically and legal landschaflich Hubsch, a relatively action-packed combat system (of which I am not impressed), interactions with the world but you get nothing (Bose's foul), bad skill system and Causalisierung wherever it is possible. If a few things I was surprised even positive (Athmosphare and above all a good performance) but also some negative (and the conversations that make sense to place constantly appearing invisible walls). The enemies are incredibly simple partial (Wolfe) but sometimes also very heavy (mine crawler). Close combat can one ever make life difficult for Darfur Mages are just ridiculous as they once a point targeted at magic charge not change direction (heiut you have long been behind them when they fire finally a fireball at your previous position). All in all, I am now convinced about the Arcania is not a bad RPG. But it's just pretty average. Heiut I'll buy maybe for 20Ђ, but not before. With Gothic the whole thing has nothing whatsoever to do over. Who wants to have joy in the game, the first two parts of Gothic simply banish from memory, then the game is really Spau. I mark all 4 parts, Part 1 or enough there already? After all, then it has the most hits. Yes ... You need this download all 4 parts! The 1.7 GB demo for Arcania grou is divided into four downloadable files. Set all your files into a directory and finally the exe to install. I have only the file that is 1.70 GB downloaded. If you unpacked the 1.7 GB file, you have also the above-mentioned 4 files. So now so after reading your post I think it's actually quite funny that me of all the download - find file of 1.70 GB, so I'm usually out of stress. I wonder: Why should I do this to me, 4 files download, install 4 files, who can I have everything in one file? Is not it logical? But why make it easy to whom it is also complicated. There are people who have a poor internet connection and can not download at 1.7GB Stuck down. Most of the downloads begin after the stop of the download again from scratch, so this is not an option. Auuerdem you have to install four files but simply click on a file. I found the 1.7 GB of packages to pile. I wonder: Why should I do this to me, 4 files download, install 4 files, who can I have everything in one file ? Is not it logical? But why make it easy to whom it is also complicated. The argument I have not thought of, I have to give you legal. I had 40 minutes to give me the 1.70 GB download. Also, I've been over sets, we invite the next year such downloads to our server, which can be but downloaded only by users that we have certainly not 1000 users, the activity at the same time this download, the said download for our Members then surely some were going faster. Due to the Inahlts of the topics here I have divided the topic. The problem of Internet connection is now here moved.